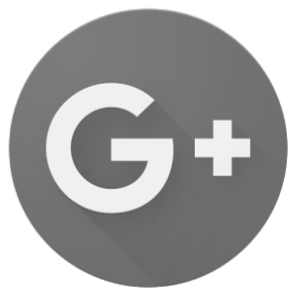 Should your business be on Google+? When it comes to choosing the right social media platforms for your business, Google+ serves an entirely different purpose to other popular sites. For example, where Twitter is focused on engagement, Google+ is all about SEO (search engine optimisation). But does it work for your business? Let’s find out. Google+ was first introduced as a rival to Facebook. However, it never really took off and now people tend to have a profile so they show up on searches more often than those who don’t. Whether you’re selling construction materials to building companies or providing a cleaning service, Google+ will prove beneficial to your company. Because Google is the most popular search engine, it’s worth having an account for the simple reason that Google likes it if you publish on Google; if you publish regularly on your ‘Google My Business’ page, Google will push you up its search results ahead of your rivals who are ignoring their platform. What this can mean for your business is, if you’re based in Kent and provide cleaning, when someone searches ‘Kent cleaners’ you’ll appear higher up the results. Very useful for Google rankings and being found through indirect searches due to SEO. Your company will show up as a red pin in the maps on Google searches, which is great if you are a restaurant and someone is searching for restaurants in your area. Gives people the chance to post reviews and give your company star ratings, which will boost online searches. Very few people actually use the site for finding brands. Google+ is constantly updating its systems and algorithms, which can make it hard to keep up with analytics. Not as popular and as visited as other platforms like Twitter, Facebook and Instagram. As you can tell, Google+ is great for promoting your business on Google and rising up the search rankings, but little else. On the downside, it’s not going to be where you’re found for your product or service as people don’t tend to use it for that reason. On the upside, your business will show up on more searches and it will be easier for potential customers to find you and get directions to your place of work or your website. If you’re looking for more, we run social media training courses where you’ll learn all about Google+ and other platforms, when you should be posting and how to grow followers.